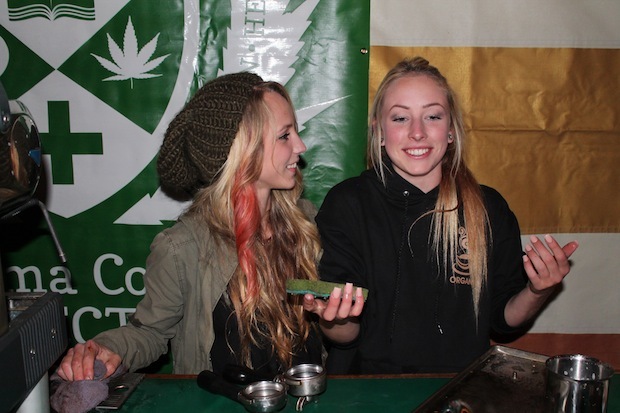 The Emerald Cup 2014 >> For those who have been in a haze of one kind or another The Emerald Cup is the world's longest running outdoor, organic cannabis cup. In addition to judging the dankest herb for whatever ails you, this festival also provides speakers, workshops and vendors to get your lifestyle as green as it can be. However, what brought me to the Santa Rosa County Fairgrounds December 13th and 14th was the music festival that accompanies this herbal celebration. 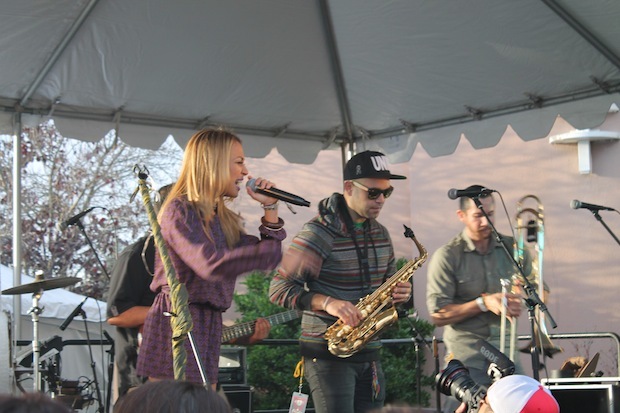 Over two days, The Emerald Cup brought in more than ten different acts from the Reggae and World Music scene including heavy hitters Slightly Stoopid and Grammy Award winning Ozomotli. Of the handful of other awesome acts joining in the weekend's festivities, one flower seemed to grow right before our eye and shine brightest through the cloudy weekend and her name is Hirie. Hirie played just as the sun was setting on Day 1 of the festival and her enthusiasm was just what was needed to get the understandably mellow crowd ready to party. The tiny and adorable Hirie took the stage at all of 5 feet tall in heels, but those in attendance could quickly feel her energy far exceeded her stature. With an upbeat, sweet and soothing voice she serenaded the crowd with pot-influenced lyrics of songs like ‘Higher’ and ‘Sensi Boy’. The songs clearly had sparked a note with the audience and everyone grooved to the vibes under her spell. Although clearly the star of the show this was far from a one-woman performance. Her band, complete with horn section and mohawk'd lead guitarist brought a deep multi-layered sound enveloping Hirie's sweet voice in deep waves of island tuneage. She closed out her set with a cover of Beyonce's ‘Drunk In Love’ [conveniently changed to ‘Stoned in Love’ for the Emerald Cup-ers] and with shout outs to smoke up her soundman behind the scenes. Clearly this pint-sized powerhouse was a perfect fit for The Emerald Cup and was a show I highly recommend to catch in the New Year. She'll be on the Tribal Seeds Winter Chillin' Tour so check out her FaceBook and Instagram to keep up to date with her as this flower continues to grow and blossom on the always cannabis friendly reggae scene. This entry was posted in festival, music, party, rando, shows and tagged beyonce, cannabis cup, drunk in love, emerald cup, grammy, higher, hirie, marijuana, ozomatli, reggae, santa rosa, santa rosa county fairgrounds, sensi boy, slightly stoopid, stoned in love, tribal seeds, world. Bookmark the permalink.